This summer essential is made from super soft cotton and chiffon.The rosette bow and pearls add dainty detail. Includes matching headband. The dress is available in 2 sizes only. Current production time is about 1 week. Please contact me if you want a rush order or expedited shipping. FREE SHIPPING IS FOR USA AND CANADA. SHIPPING IS REDUCED FOR ALL OTHER COUNTRIES. 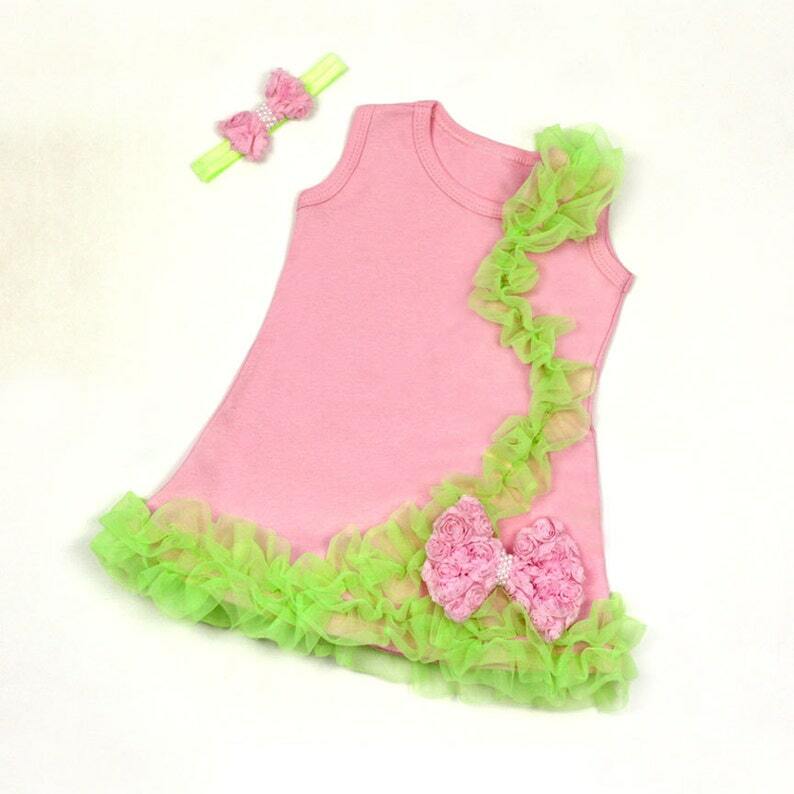 Visit my shop home page to view all of my Posh Pipsqueak clothing and hundreds of other fabulous products at www.etsy.com/shop/poshpipsqueak.